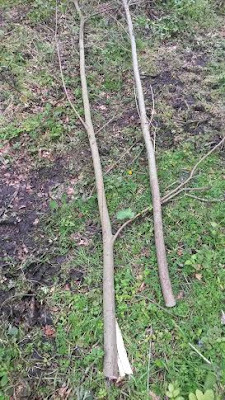 We thought we would make some more willow cordage, it's that time of year again when the sap is up and the bark is easy to peel, so it's the best time to make it for the little projects we will be doing over the winter months. 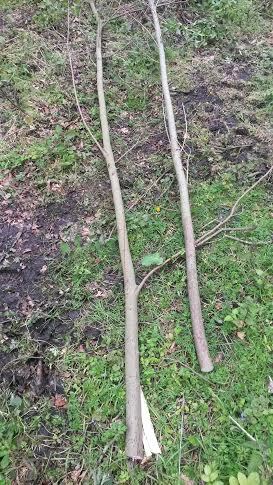 First thing to do is cut some willow poles, it's best to get them as straight and smooth as possible, lots of knots and branches cause a lot of hassle when taking of the bark. 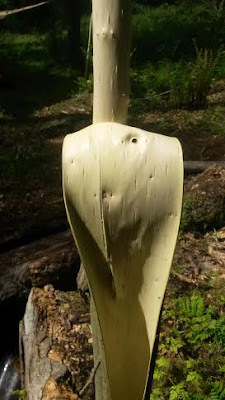 or you can bend the bark backwards and pull it down the pole, either works well..
once peeled, score a line across the middle of the bark with the tip of your knife, don't cut too deeply or you will cut all the inner fibers you are trying to remove, it's a score not a cut! You can simply bend the bark till it cracks and peel it that way but it's not ideal and the outer bark doesn't peel as easily this way. 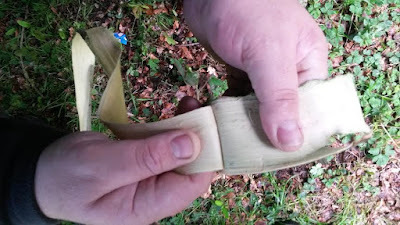 Simply use your hands and bend the bark backwards as you strip the inner fibers, try to work around any knots and make sure you don't end up with any outer bark on your fibers as this will make the end result brittle and difficult to twist. 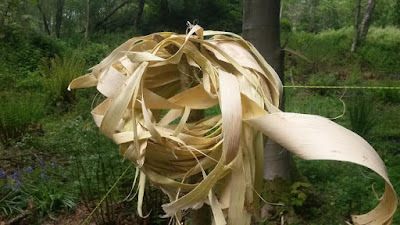 Once peeled you will end up with a pile of inner fibers, but if you simply dry them now, when twisted into cordage they can become brittle, but if the task you're undertaking doesn't need a lot of strength from the cordage then you can simply use it now. 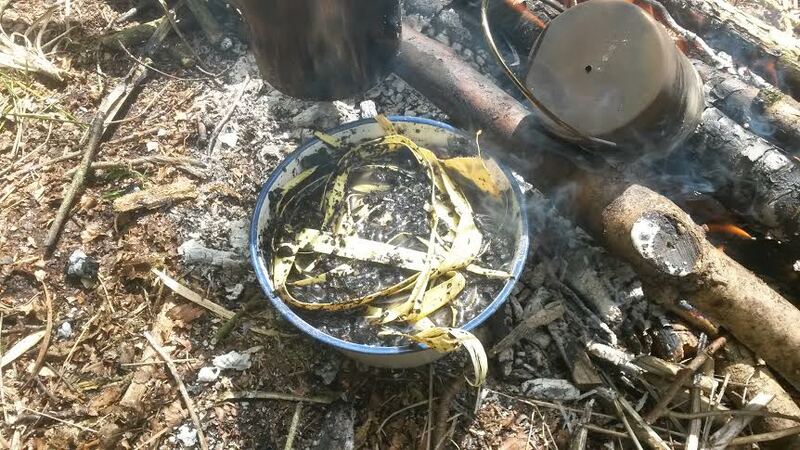 better quality cordage can be made from boiling the fibers in a lye solution, put the ashes in soft water and add the bark, don't make the solution too strong or it will destroy your fibers, so will boiling it for too long, adapt the strength and time to the amount of fibers you are preparing. take them out and dry them. Once dry you can split them up into finer fibers and then moisten them to make your cordage the same way you would with any natural fiber. Here you can see the difference between the prepped fibers and the unprepped stripped fibers, willow bark makes a very decent quality cord and preparing it like this is certainly quicker than retting lime bark! 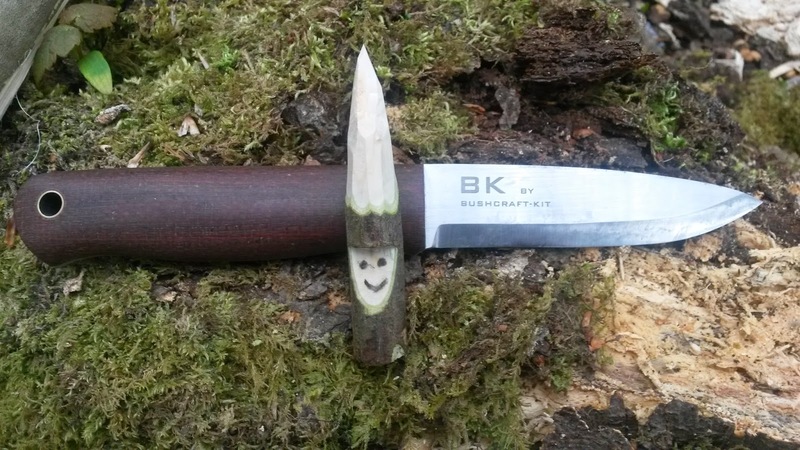 I thought I'd left the whole custom knife thing behind! My custom collection at one point was worth many thousands of pounds and I have had customs from some of the best makers in the UK, Europe, South Africa the USA to name a few, they have all given pleasure, but a desire to cherish rather than use is what made me realise that a good knife is one you've used hard, put through the paces, has proven itself over time and task and that you can rely on, not one you caress then put back in the drawer. When I saw this knife advertised it spoke to me and I just had to have it. It's a woody clone but better! I've owned a real Alan Wood Woodlore in the past but there were a few niggly things that put me off it, the slightly too small handle and the slightly too large ricasso being just a couple. So when I saw pictures of this knife I examined them over and over and over before biting the bullet and going for it, by the way this knife comes all the way from Romania. Admittedly when I first received the knife I found the handle a little too wide and uncomfortable as the scales were a little thick so I did have to take it down and profile it slightly to make it more comfortable for my use, but it didn't take much work and is all the better for it. The maker recommended that you didn't baton it through knotty wood, so the first thing I did was baton it through knotty wood..
No issues, no edge chipping or rolling and all seemed good. 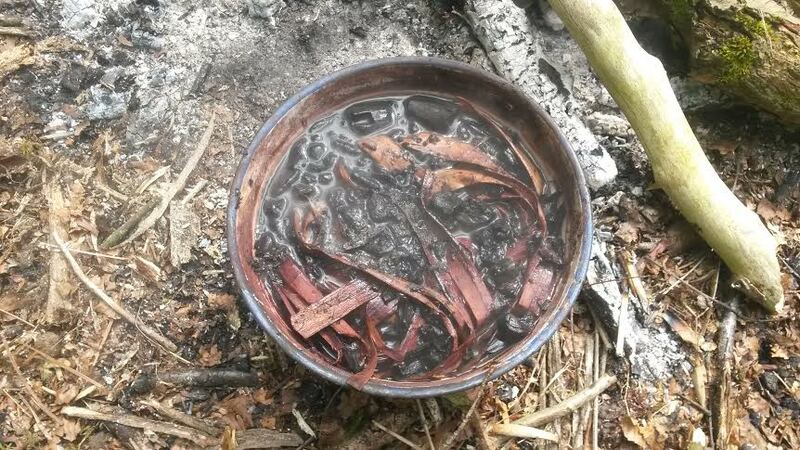 15 minutes later and the spatuloon was ready and allowed me to devour my boil in the bag sweet and sour!! The edge still felt good and was still shaving sharp, still no damage, not that I would be expecting any while undertaking simple carving strokes. 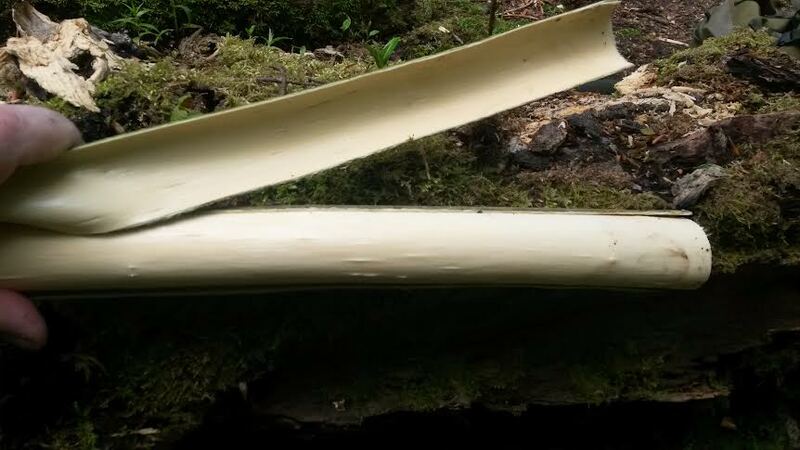 By the way I didn't touch the blade up at all through all the tests today to see just how good the edge holding was. Again there was no issue at all, the feathers were fine and well curled (using dead standing dry laurel branches) and lit easily with the ferro rod. 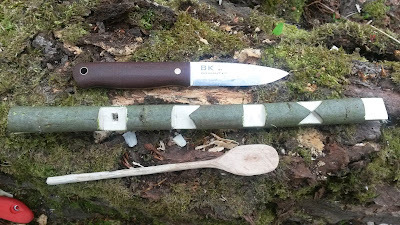 Next test was a few cuts that would be used on a regular basis in the woods ( based on Mors Try stick idea) cross hatches, pot hangers, square notch hole, figure four, etc all easily achieved and simply done using all parts of the edge - straight, belly and point. 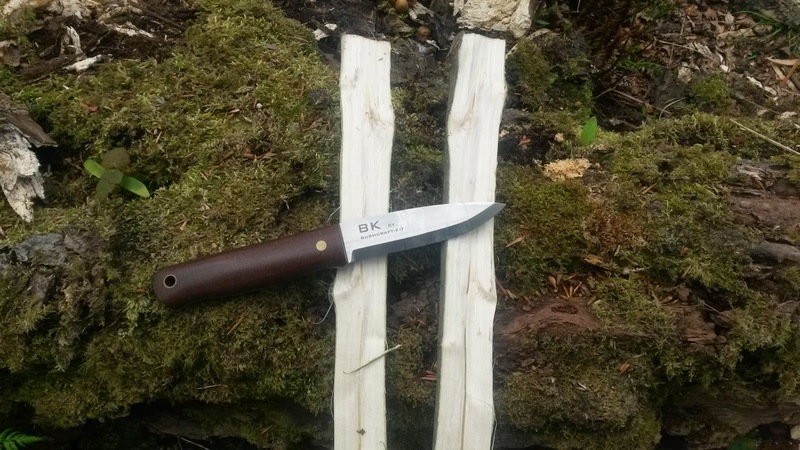 Tasks like this often require a good point on a bushcraft knife and how many times have we seen a brilliant knife otherwise let down from the lack of a decent point ( fallkniven F1 for example), but no worries here at all, it performed incredibly well and every cut and notch was smooth and easy with the knife. After about 4 hours using the knife on various tasks I had no hot spots or hand ache, different grips were comfortable due to the slightly larger handle and tip work, choking up, reverse and chest lever cuts were all a breeze. All in all the knife performed superbly, it easily lived up to my expectations and even went beyond. 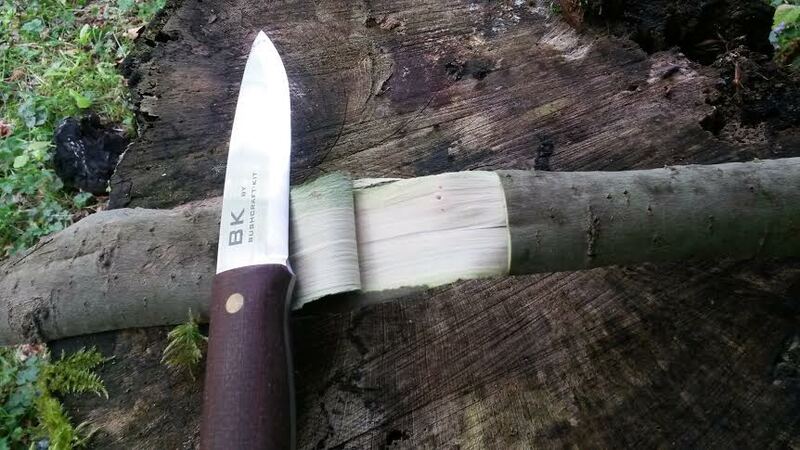 It was still very sharp after a full day in the woods and when I got home 10 minutes on the loaded strop had it back to sticky sharp, I could shave the hairs off a hair with this knife! 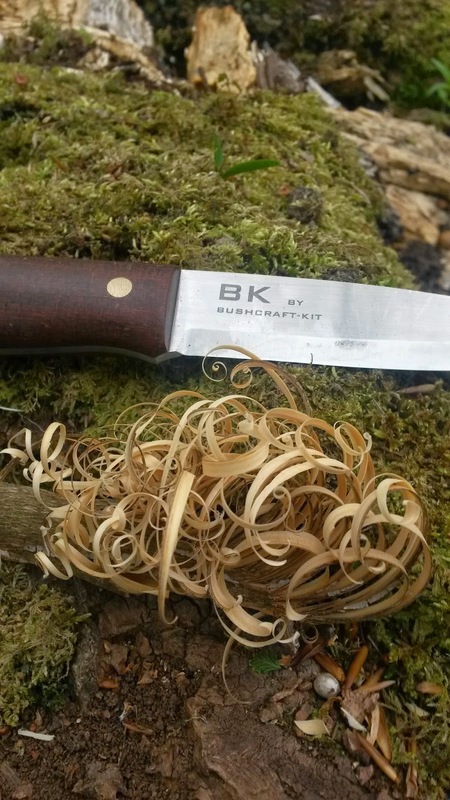 Although I doubt I will ever get the custom knife bug again I don't really need to, I think I've found the perfect bushcraft knife for me, it ticks every box I need it to and the price was very reasonable, Bogdan was a pleasure to deal with and I even got a bag of Skittles in with the knife when it arrived, that certainly made me smile and went down well!! 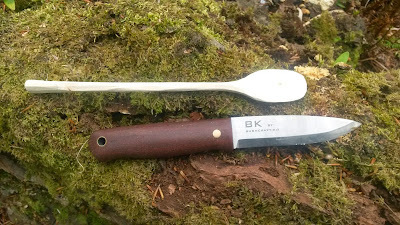 I have been waiting for the perfect knife for years and even when I commissioned custom knives in the past there was always something that just didn't click for me, the maker may have made the knife close to my design but it was never close enough, admittedly I'm a real pain to impress and I can find fault easily, but not with this one, it does it all. I sit at night carressing it and admiring it and can't wait to get out again to put it to more use. I will update this post over the coming months as I continue to use the knife and see how it peforms with regular work out in the wilds. 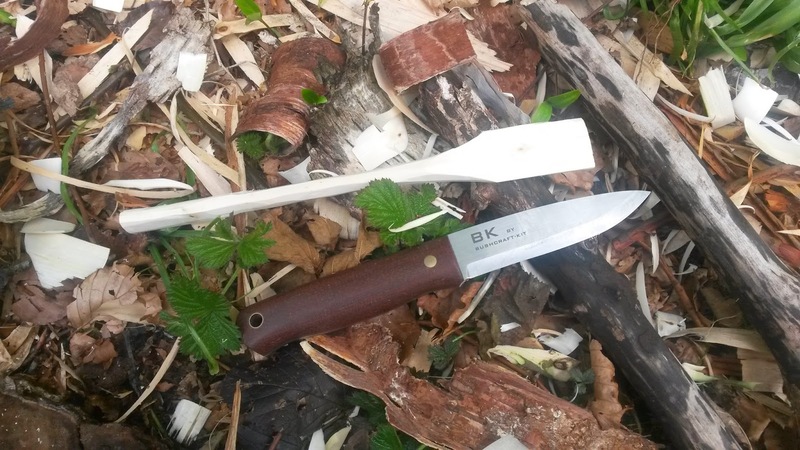 In the mean time if you want to get a better look at or more information on the Woodspirit bushcraft knife you can contact Bogdan HERE . 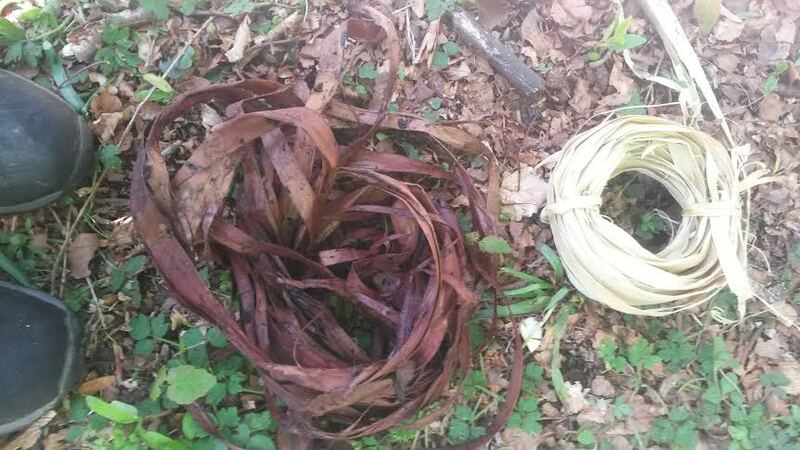 It's not just the fruits of the blackberry plant that you can eat, you can also eat the new young shoots of the plant too..
Look for the nice new emerald green shoots, remember there are over 400 different types of blackberry subspecies and they all taste slightly differently, so do the shoots! they taste lovely and even have quite a blackberry taste, a very nice spring treat. 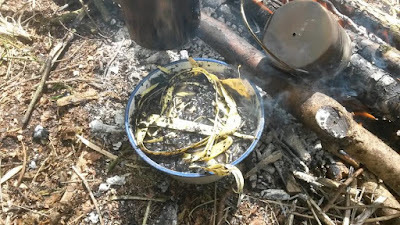 Well we needed to make more amadou so it was time to make a lye solution again, the usual way we do it (there's a mini tutorial on the blog somewhere) but this time I wanted to see just how concentrated our solution was. This was because, too dilute and it doesn't work well and too concentrate and it will eat away and destroy your amadou. Now we need to get this solution around PH 12, not too close to neutral but not too caustic so that it eats away at your amadou. 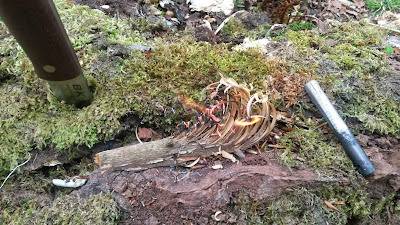 a few more handfuls of wood ash and you can see we've got the solution perfect, coming in at between PH 12 and 13. Regardless I know this particular way has been used a lot in times past for preparation of fungal material for fire lighting, the best description of which I found recently in Thomas Gill's "The Technical Repository" 1822..which is a very similar method to the one we now use, so though I don't know the chemistry behind it I know that it is worth while doing. Maybe someone out there with a Doctorate in Chemistry and can explain to me the reasons why it works, I'd be very interested to hear!